Is It Time For Your Senior Parent To Stop Driving? 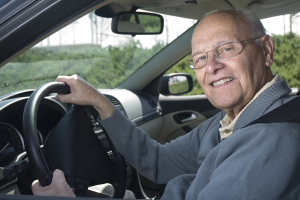 Senior Care Arlington TN – Is It Time For Your Senior Parent To Stop Driving? There’s no doubt that having access to your own vehicle represents a level of freedom like no other. As long as drivers are responsible and physically able, they can operate a vehicle without putting themselves or others at risk. But what happens when you suspect that it might be time for your senior parent to stop driving? Seniors are outliving their ability to drive in increasing numbers, according to AAA.com. This means that their physical limitations are such that they shouldn’t be on the road after a certain point. Of course, this will vary with each senior according to illness, injury and overall physical fitness at an advanced age. The United States counts about 40 million licensed drivers that are over age 65. After age 65, most seniors experience declining physical abilities needed for driving, like reaction time and reduced hearing and vision. More than three-quarters of senior drivers report using one or more medications daily that may affect driving performance. Fatal crash rates increase after age 75 and really jump after age 80. Seniors have the second highest crash death rate, after teenagers. There’s no doubt that many senior drivers do just fine as they age. At some point, you need to have a serious discussion about limiting or stopping your aging parent’s driving privileges to keep themselves and others on the road safe from accidents. Imagine what it must be like for a senior person to give up driving. After all, they have driven themselves for many decades, and it represents a level of independence like nothing else. As seniors tend to become more isolated from their peers and give up hobbies and activities, driving may be one of the last things they have that make them feel independent. Losing transportation may represent becoming less active and more lonely, plus having to acknowledge that the aging process is affecting them in a big way. You can make it easier on your aging parent by having a doctor weigh in on the situation, providing an honest evaluation of their muscle strength, flexibility, range of motion, vision and hearing. Your state’s driver’s license division may also contribute to whether or not a senior can drive. Many states have laws in place that require people over the age of 70 to renew their license in person so they can perform vision tests and a supplemental driving evaluation. This is to make sure that seniors can safely operate a motor vehicle and can handle any physical conditions that might interfere with good driving. If your aging parent doesn’t pass the tests, they will not get a new license. If you and your aging parent have decided that it is time to stop driving, you can make the transition easier for them in many ways. The obvious problem to be solved is providing them with transportation to get to stores, events, activities and just to socialize. Hiring a senior care agency to provide different levels of care is a wonderful place to begin. Senior care aides can provide safe and reliable transportation as arranged. Other options include paid car services and family members. It’s important to make sure that your aging parent is still capable of driving responsibly. If the time has come for them to give it up, you have lots of options to choose from so they don’t have to give up their independence and sense of freedom along with their driving privileges. For Senior Care Services in Arlington TN, please contact the caring staff at Personal Care Services MidSouth today! This entry was posted in Personal Care Tips, Senior Care Arlington TN and tagged Senior Care Arlington TN. Bookmark the permalink.